This walking tour explodes with information, packed into an unforgettable two hours of art, architecture, and sun-drenched attitude! 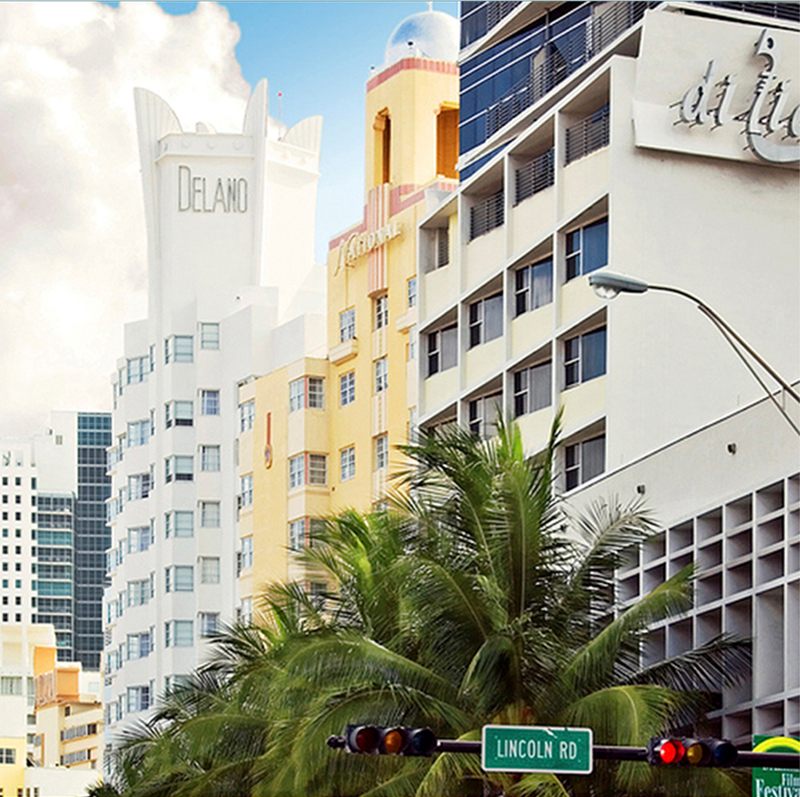 South Beach is what most people have come to see in Miami. It’s bigger and better than all the other beaches and faces the only 20th-century historical district recognized by the United States Government. This tour is perfect if you have an hour or two to enjoy a stroll around the principal sights. Be prepared… the author is extremely knowledgeable and meticulous. However, he makes the whole trip fun and informative, and he won’t let you down! People tell us all the time that our tours make travel easier and much more interesting. 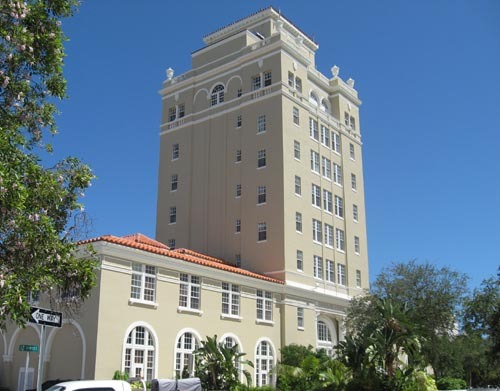 So download this Miami Beach Art Deco District guided sightseeing tour to your mobile device and come with us to discover what Art Deco is all about and why it continues to draw tourists from all over the world. 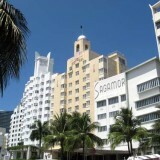 If you take this walking tour of Miami's South Beach in the summer, I suggest you do it in the morning or evening. Only mad dogs and Englishmen go out in the midday sun. Wear a sun hat and take sunscreen. Though this South Beach walk in Miami Beach will take only 30 minutes, it doesn't include stopping and staring, entering buildings and museums, pausing for beverages or snacks. This 30-minute tour can easily stretch into half a day, so be sure to allow for this. 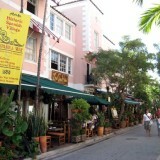 To go all around South Beach (Florida) by bus, look for the South Beach Local. It runs every 10 to 15 minutes and circles the entire historical district in about 45 minutes, all for one shiny quarter. 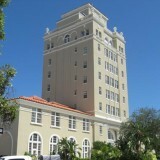 One of the highlights of this South Beach (Florida) stroll is to enter some of the lobbies of the Art Deco hotels. In order to do this, you must 'dress the part.' This won't work if you appear like something the cat just dragged in. 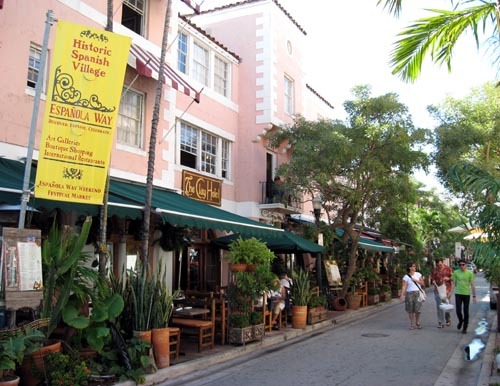 This walking tour in South Beach (Florida) can also be taken after dark. The whole route is well illuminated, even the beachwalk section. 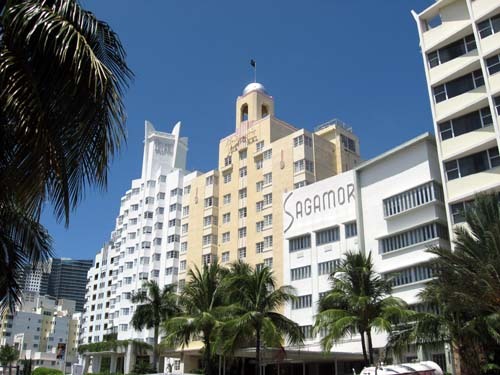 You will then see the wonderful lighting effects of the Art Deco hotels along Ocean Drive and perhaps end your walk in a lively night club. Martin Crossland has 40 years of experience assisting visitors in the United States, the Caribbean and Latin America. He is fluent in Spanish and Portuguese, immersing himself in local history and culture wherever he resides. Martin enjoys sharing his experience with fellow travelers, who find him meticulous and informative, yet hospitable and quite amusing! SKU: MC020074. Categories: Florida, United States. Tags: City/Town, Florida, Martin Crossland, Miami Beach, Sacred Sites, United States.